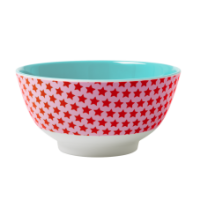 Pink star print melamine plate by Rice DK. 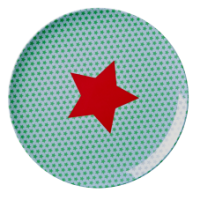 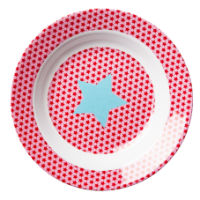 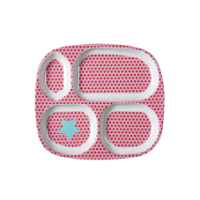 This girls small melamine plate is pink with dark pink stars and a single turquoise star. 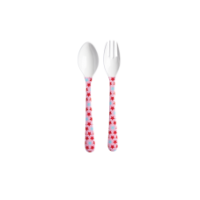 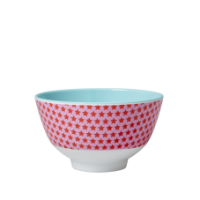 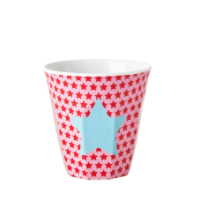 Match with the pink star print cup and the pink star print bowl.